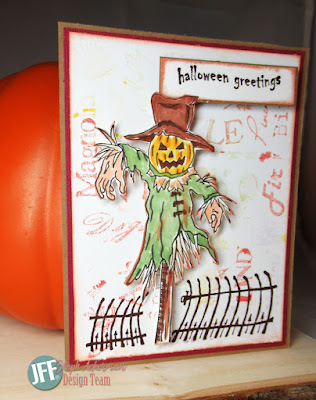 Hi everyone I'm sharing a new card using some great stamps which available from the store to create my card. 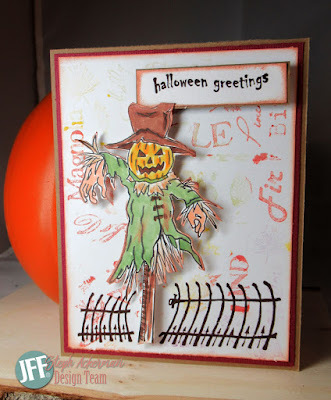 Halloween is right around the corner and who doesn't love to create Halloween cards. 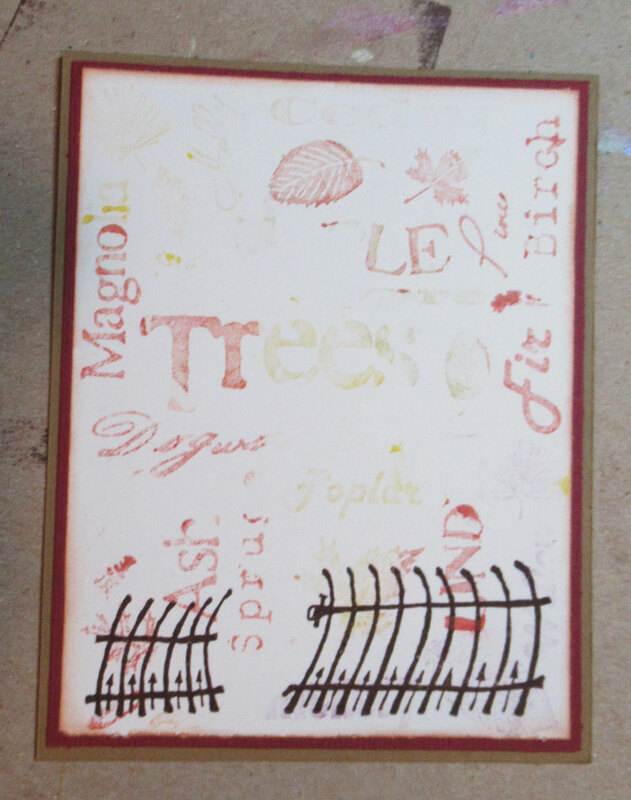 I began by stamping the Trees Background stamp on a panel of white. I didn't want the background to be distracting, so I used light colors of ink. 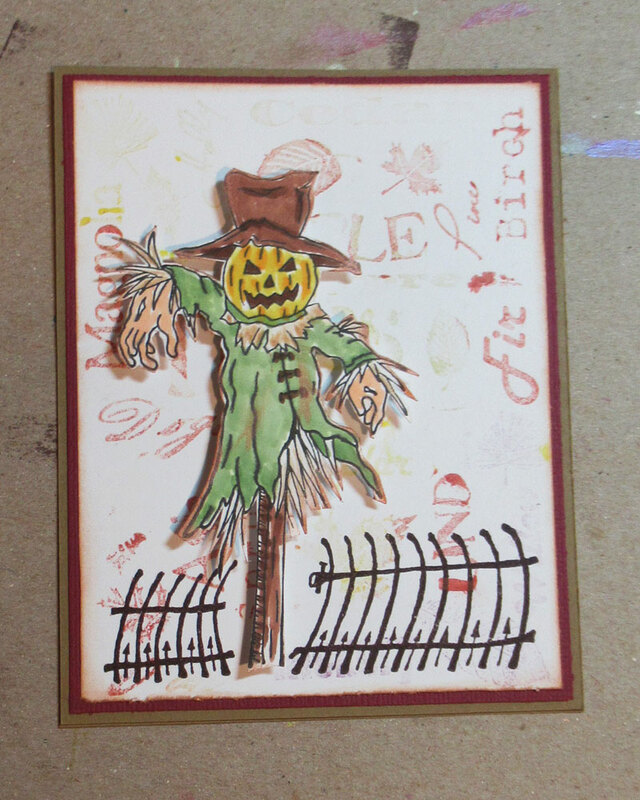 The Crooked Iron Fence was stamped across the bottom of the card in a dark brown ink. 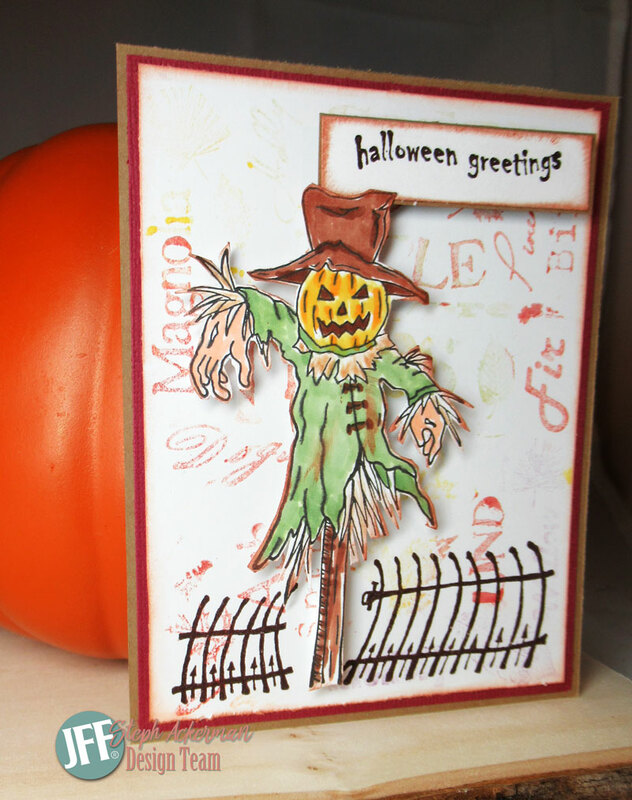 The Spooky Scarecrow was stamped and colored with Copic Markers then fussy cut. He fit perfectly between the fence posts, so I popped him with foam adhesives. 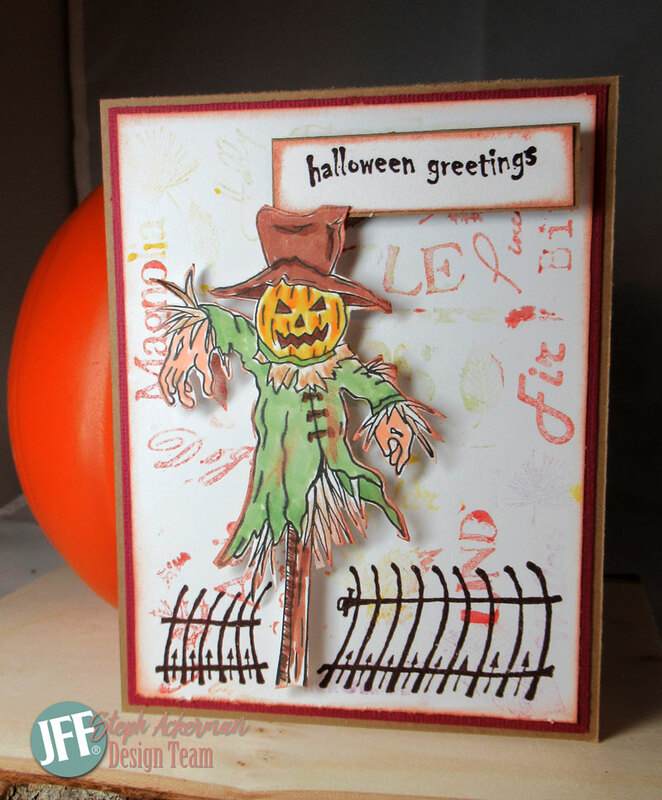 Halloween Greetings is from the Sentiments 1 stamp set. OMG! 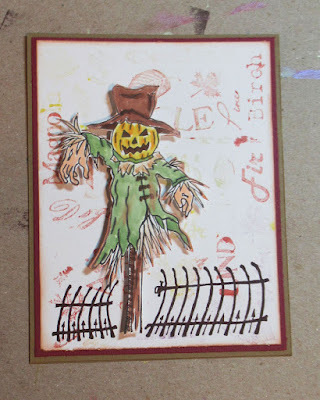 I love how you colored this scarecrow. Perfect background for him. Great card, Steph. I love your coloring.